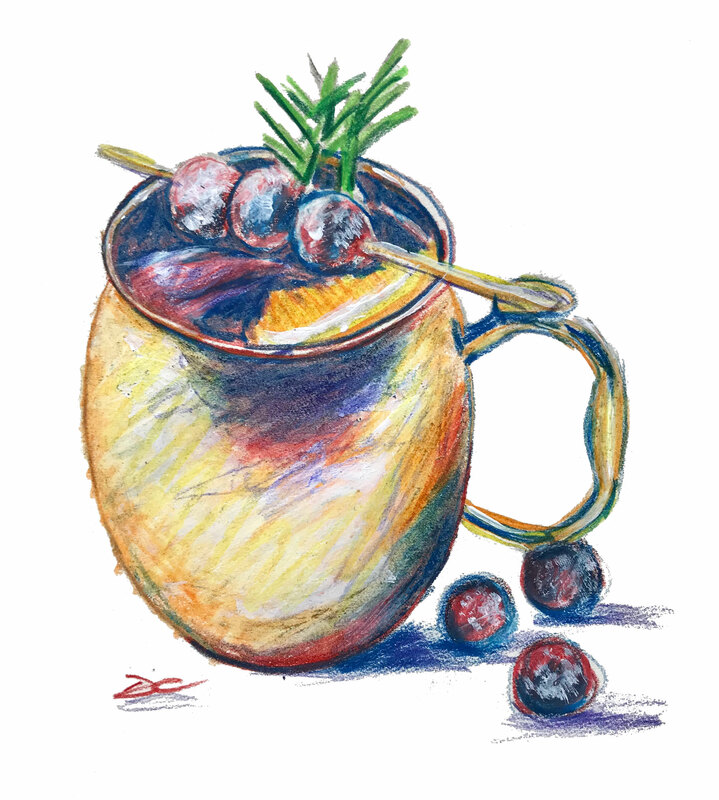 Pour cranberry juice, ginger beer, and gin into a glass or mule mug over ice and stir gently. Garnish with orange slice, rosemary, and sugared cranberries on the cocktail pick. *To make sugared cranberries, heat 1/2 cup of sugar and 1/2 cup of water over medium heat until sugar is dissolved. Stir in (1) 12-oz. bag of fresh cranberries and stir to coat. Transfer to a wire rack to cool for at least 1 hour. Finally roll cranberries in sugar until well-coated and allow to dry. Cranberries may be stored in an airtight container in a cool place for up to a week.